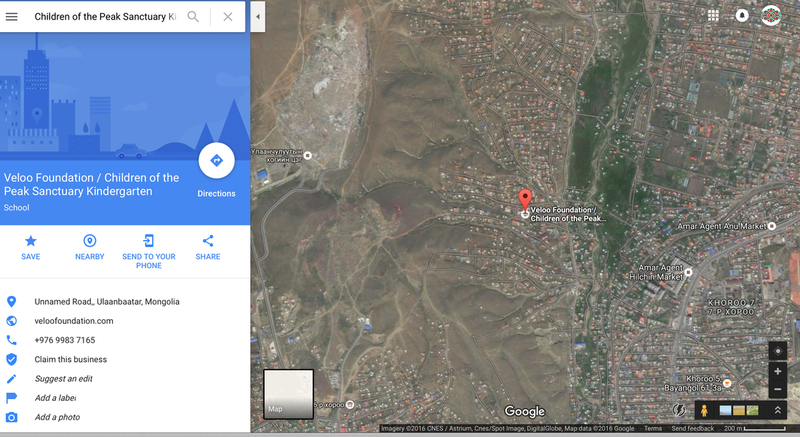 If you are in Ulaanbaatar and would like to come and visit please give us a call and we will arrange it. Below is a map of the approximate location of the center. The large grey area to the left of the pinned location is the city dump where our community members scavenge. For our North American friends.